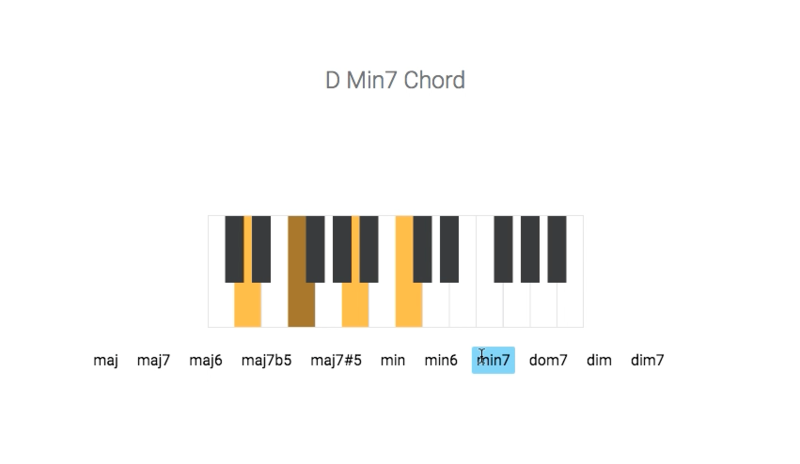 The code base for Chrome's Music Lab Chord Experiment only includes major and minor chords in every key. 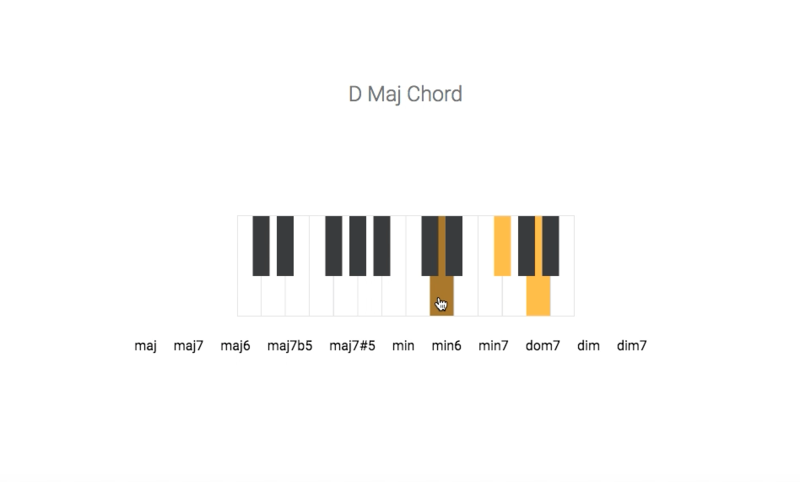 To incorporate more jazz tones and enhance the learning experience for the user, Octavian was used to configure all the types of chords its library provided. Since Octavian was not compatible with Google's use of Teoria for generating the sound, ToneJS was used instead to arpeggiate the notes. The final challenge was to just match the highlighting of the keys to the sound of the note.